The Document Foundation has written to HEXUS to announce the launch of the LibreOffice 6.2 software suite with NotebookBar. The organisation heralds LibreOffice 6.2 as "a significant major release… which features a radical new approach to the user interface - based on the MUFFIN concept." Furthermore, it is added that the new UI is customisable for all kinds of preferences, making the most of a wide range of screen sizes, and the developers tout better file compatibility and performance improvements. As you can see in the video about the new NotebookBar UI is optional, and isn't foisted upon experienced LibreOffice users unnecessarily. To turn on this new headline feature you head on over to an application's View menu and under the User Interface section you will see the 'Tabbed' option. 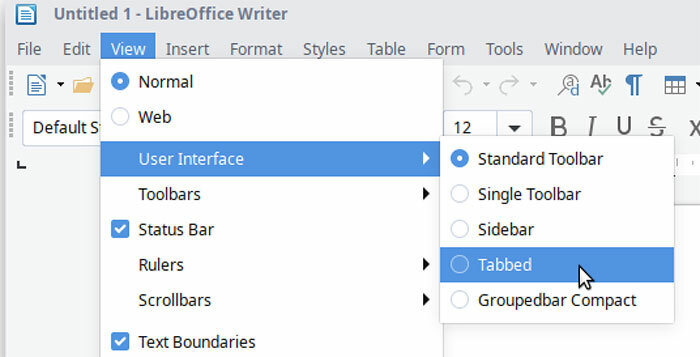 In the LibreOffice blog about the new release it says that the Tabbed UI "aims to provide a familiar interface for users coming from proprietary office suites and is supposed to be used primarily without the sidebar". For proprietary office suites, I think they mean MS Office. Other NotebookBar options are Grouped and Contextual UI flavours. Improved interoperability with proprietary file formats. If you use LibreOffice in an enterprise class deployment, you might prefer LibreOffice 6.1.5, a more mature version which includes some months of back-ported fixes. 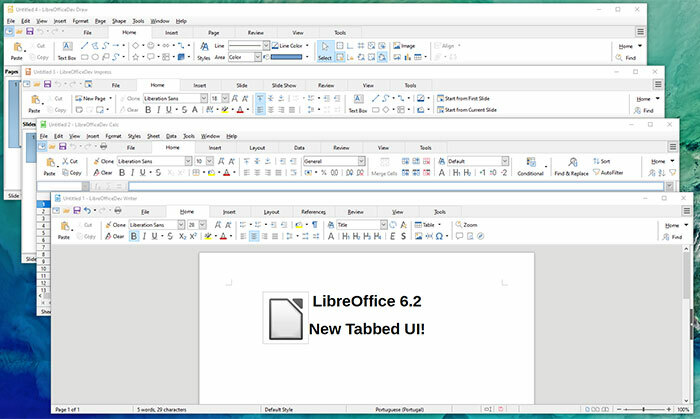 Both LibreOffice 6.2 and LibreOffice 6.1.5 are available immediately for a variety of OSes (Win/Linux/Mac) and sub-versions (deb/rpm, 32/64-bit). Checking out the Win_x64 download, it weighed in at 285MB. This is free software but the developers would like users to help with contributions via Paypal etc, and you will see appropriate links on the download pages. Only taken 12 years too. Adding the ribbon isn't an improvement. Unless you do no actual work and just look at the UI Candy. Interesting. Apparently those who only ever knew the ribbon prefer it when asked to revert to the older style UI. I cut my teeth in the business world on office 2007 and probably as a result I certainly prefer it. Given that in this case its an optional UI that isn't enabled by default surely everyone gets what they want?